Life can be very busy and that is without adding in blogging and vlogging on a weekly basis. I have decided to make a schedule for myself so that I can get everything done I have to get done in a week and on a timely basis. Making sure my posts and videos go up on time so I don't get overwhelmed and behind. My blogging schedule will be outlined below on what you can expect to see from me on what day. Monday - Weekly menu planning and grocery haul links to my youtube videos showing the hauls. I will post some new recipes I have tried in the previous week that were a hit for my family. Tuesday - Movie Tuesday will be my weekly review of new movies that have come out or something I am currently watching on netflix. Wednesday - Photo and crafting Wednesday will be a perfect day for me to highlight different crafts I have done that week even if they are a fail. Most of my craft ideas will come from pinterest and I will always tag the original in my post to give proper credit to the original creator of the post. I love to vlog every day and with vlogging comes taking a lot of photos of my family and things we do in a week so I have decided to highlight a few of them on my blog every week. Thursday - Review/Giveaway Thursday will be the perfect day to check to see what giveaway and products I am reviewing for the week. There won't always be a giveaway every week but there will definitely be a review every week. Friday - Homeschool Friday will consist of what we have done that week homeschooling and learning at home. Saturday and Sundays you will not find blog posts from me on a weekly basis. I will add a blog post every now and then but not on a weekly basis. It will be only Monday to Friday. There will be an exception of a blog post on the last day of every month where I will post our family favourites for the month and that will include what we have enjoyed for the month. 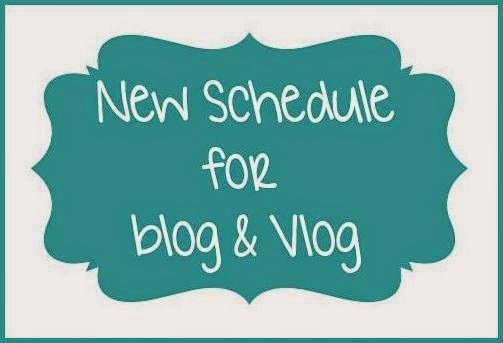 That is my new blogging schedule and I am looking forward to continuing to share my life journey with all of you. You can find my YouTube channel here at https://www.youtube.com/ItsJustMyLifeCA. I am daily family vlogger and I vlog our daily life and post it from Monday to Friday. 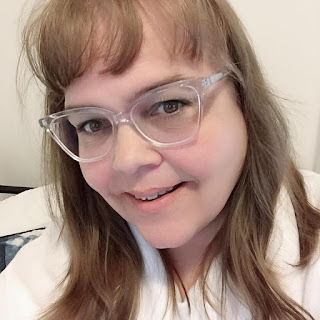 I try to have my daily blog up in the morning by 11am every week day from the day before. There is times when life and appointments do get in the way making it impossible to have it up during that time frame but the point is I am going to try my hardest to hold true to this schedule. In October I plan in taking part in Pintober which means I will try something new from Pinterest every day in October and video it to share with my viewers. This could be a recipe, craft or even some DIY project just as long as the idea came from pinerest. I plan to put these videos up in the afternoon on YouTube with dedicated playlist for them so if you are just interested in Pintober you can just play those videos. I want to thank every for subscribing to my new YouTube channel and I just love watching it grow and connecting with my viewers and others in the YouTube community.